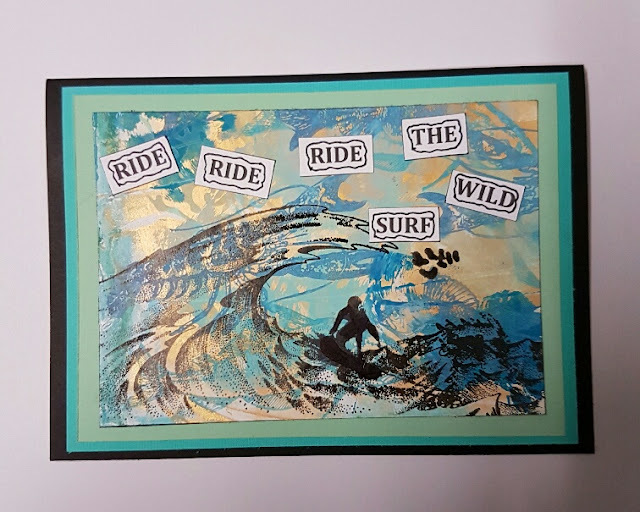 I would like to enter this card in the FSC challenge competition of Wild Things. Thank you all for viewing my card. The stamps I have used are from rubber dance, and stamp scapes. There is a swimmer there if you can pick him out. Thank you again for a wonderful challenge. Another one coming soon. 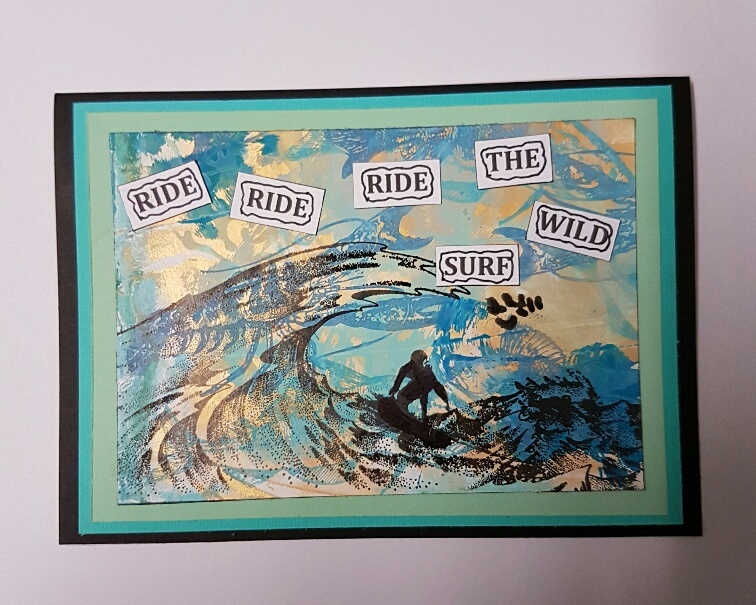 A fabulous surfing scene and great stamping and inking and such an effective background. Many thanks for joining us again at Fashionable Stamping Challenges. Wowww, this is wonderful. Great scene with a beautiful background. Thank you for joining at Fashionable Stamping Challenges.